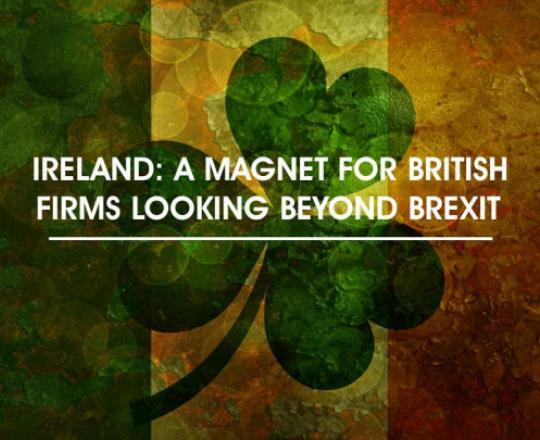 Motivated by worries about tariffs and a potential risk to their overseas sales in the post-Brexit era, many UK firms see Ireland as a better option than mainland Europe. Paul Brown, a tax partner at Manchester accountancy firm HURST, said Ireland’s low tax rates – corporation tax is 12.5 per cent – along with state support for overseas companies, a similar business culture to the UK and a common language are key factors behind the surge in interest. In addition, Ireland has a similar business law system and an economy which is not overburdened by regulation, he said. HURST is advising a number of businesses in partnership with Noone Casey, a Dublin-based accountancy firm. Both practices are members of the PrimeGlobal association of independent accounting firms. Anthony Casey, a partner at Noone Casey, said: “We’re advising companies which trade within the EU and see Ireland as the optimum location for ensuring this continues profitably. “They are planning for the medium to long-term, as it could be several years before Brexit happens. “Having a sales operation in Ireland means they will already have employees and an infrastructure within the EU which they can ramp up when the time comes. “If they wait until afterwards, their business continuity could suffer. “In a sense it’s an insurance policy, as no-one knows for certain what the trading and commercial outcome of Brexit will be. “However, there is a likelihood of turmoil in the market concerning trade agreements, and smart companies are assessing the risks and taking steps to mitigate the impact of Brexit.” Paul said: “As the prospect of Britain being outside the single market following Brexit becomes more likely, having an operation in Ireland becomes a more attractive proposition.